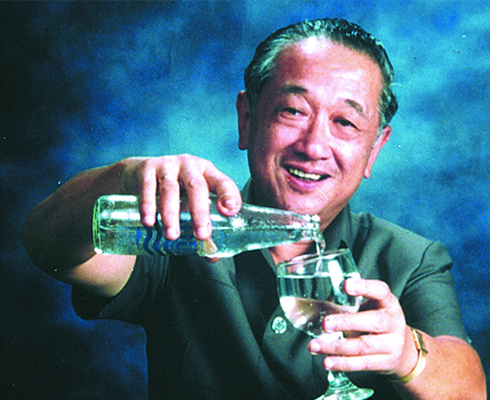 Tirto Utomo founded PT Golden Mississippi as the first pioneer of Bottled Drinking Water company in Indonesia. The first plant was established in Pondok Ungu, Bekasi. 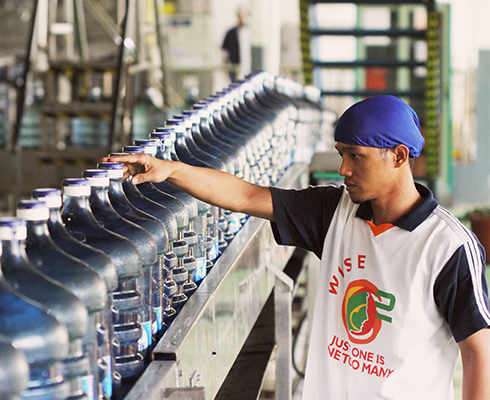 AQUA’s second plant was established in Pandaan, East Java, aiming at better approaching the consumers in the region. AQUA developed its products in 220 ml PET packages. 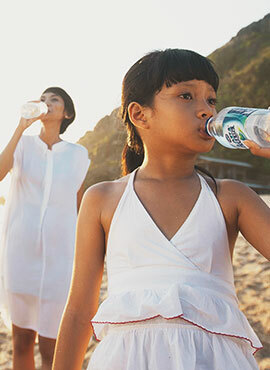 The development has improved the quality of AQUA’s products as well as making them safer for consumption. 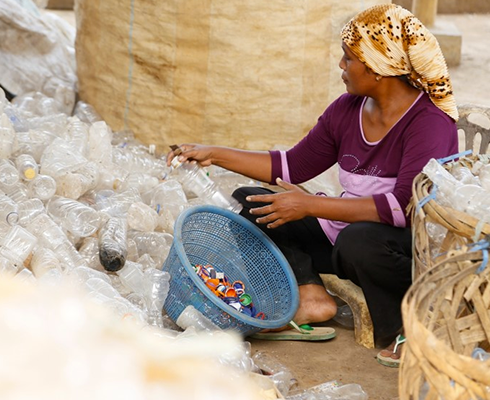 AQUA Group operated AQUA Peduli program by recycling plastic bottles used for AQUA’s products into reusable materials. 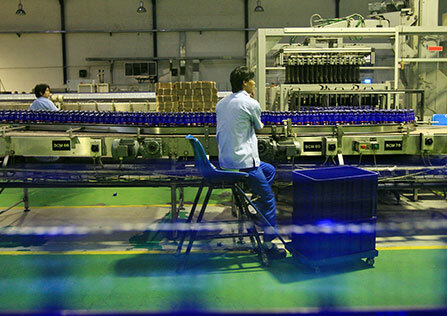 In line production is a system where water processing and creation of AQUA bottles were performed simultaneously. Such system allowed newly-produced AQUA bottles to be immediately filled with clean water at the end of the production process, making production process more hygienic with minimum human intervention. A strategic alliance was established between PT Tirta Investama and Danone. 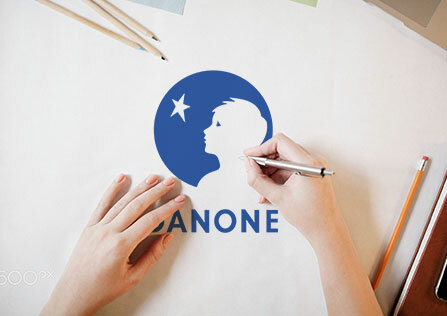 Danone, through Danone Asia Holding Pte. Ltd, incorporated into PT Tirta Investama as a minority shareholder. Subsequently, PT Tirta Investama, PT Aqua Golden Mississippi, and PT Tirta Sibayakindo agreed to build a synergy as AQUA Group. 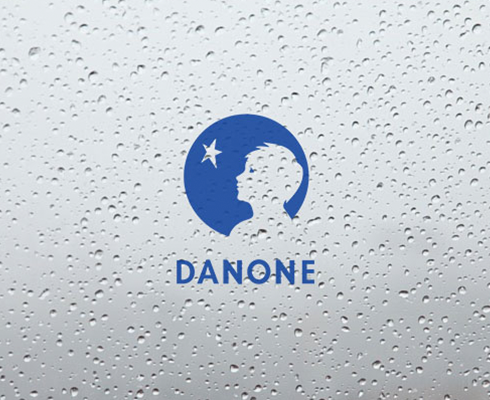 AQUA Group placed Danone’s logo on all AQUA products. DANONE increased its shares in PT Tirta Investama, making DANONE the majority shareholder of AQUA Group. 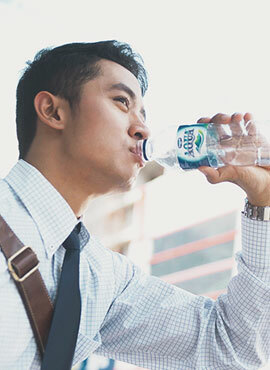 In the same year, AQUA brought out its new 380 ml glass bottle product. AQUA Group officiated in the DANONE Nations Cup (DNC), the biggest international football tournament for children aged 10-12 years old. Won the Indonesia Best Brand Award. Started enforcing the Collective Bargaining Agreement [KKB 2002 - 2004] as of 1 June 2002, applied to all AQUA Group’s employees. 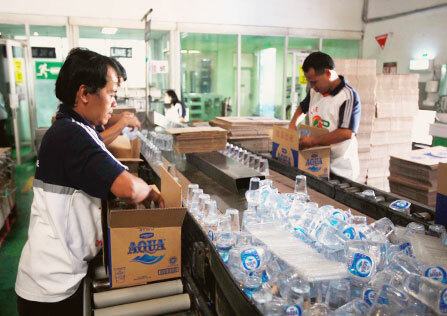 AQUA Group inaugurated its new, thirteenth plant in Klaten in early 2003. That year, we also initiated work process integration through System Application and Products (SAP) and Human Resources Information System (HRIS). AQUA Group won Superbrands Award and Indonesia Best Brand Award. 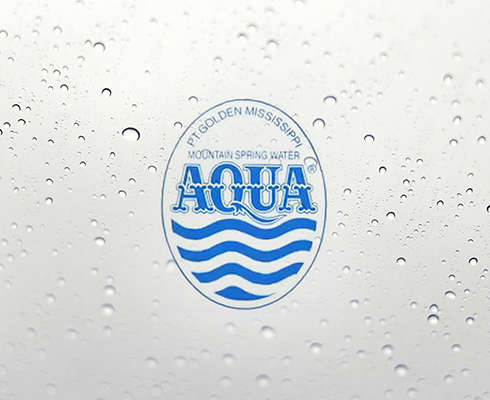 Within the same year, AQUA Group also launched the new AQUA logo. AQUA Group helped Aceh’s tsunami survivors. At this year, AQUA Group also produced MIZONE, an isotonic nutritious drink, produced in two flavors, lime orange and passion fruit. 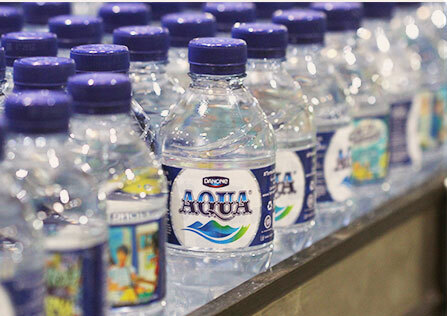 AQUA Group also won several awards such as the Consumer Packaging Branding Award, Indonesia Best Brand Award, and Indonesia Golden Award. 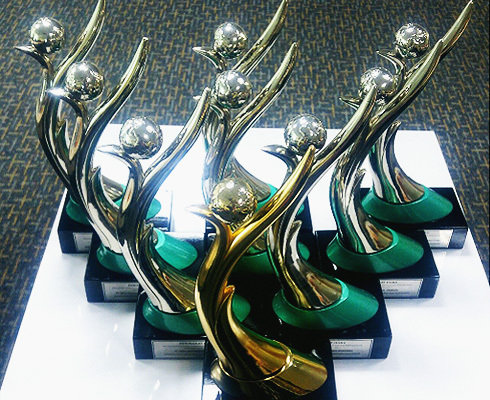 AQUA Group received Best Brand Award and Indonesia Golden Brand Award. 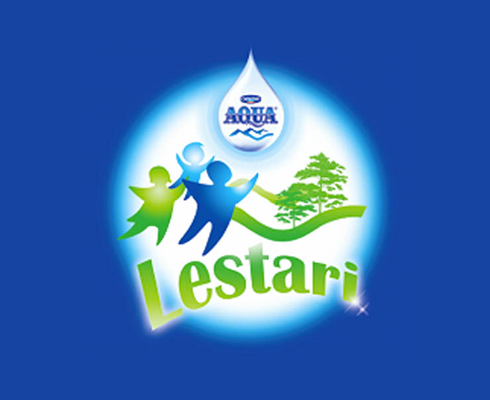 AQUA Group initiated AQUA Lestari program as the principal of all AQUA Group’s sustainability initiatives embodied in watershed-based (DAS) social environmental programs from upstream to downstream. As part of the WASH program that enhances people's access to clean water and sanitation facilities that are environmentally friendly, as well as the promotion of healthy living behavior. 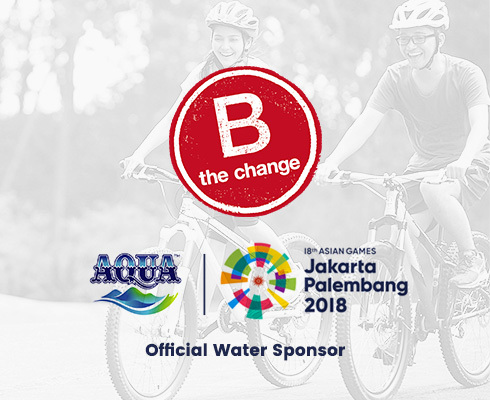 Through One to Ten, we are committed to deliver 10 liters of clean water to people in need of access to clean water in East Nusa Tenggara (NTT) for every 1 liter AQUA product labeled for sale. 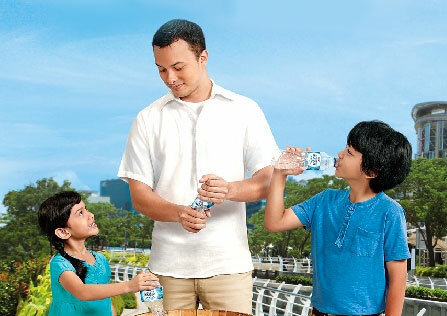 AQUA Group also acquired Platinum Brand Indonesia. AQUA Greeting is opened as a call center service for people who want to ask about quality of products, services and other information. The AQUA Group also launched a Goodness of Nature campaign informing consumers of the preservation of water purity from mountain springs until AQUA products reach their hands. This year also, AQUA launched the AQUA Home Service program. AQUA Group received Millennium Development Goals (MDGs) for WASH program category. 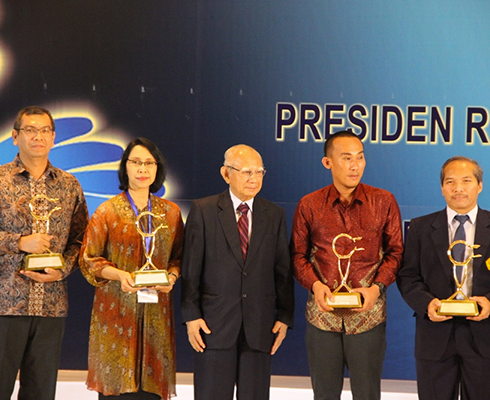 AQUA Group also received the Wana Lestari Award from the Minister of Forestry. Wana Lestari was an award given to appreciate the conservation efforts undertaken in the Airmadidi plant in North Sulawesi. 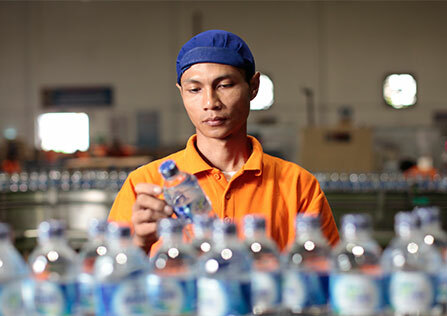 Again, AQUA Group received numerous innovation and environmental care awards, such as the 2010 Packindo Star Award, the Asia Star Award, Indonesia Good Design award for innovative gallon cap design, and the 2010 Indonesian Green Award from Business & CSR Magazine. Initiated the Scavenger Empowerment Program (Program Pemberdayaan Pemulung/PEP). Received Millennium Development Goals (MDGs) Award for environmental conservation category. AQUA Group launched AQUA Home Service (AHS) program. This year, AQUA Group also launched the “Mulai hidup sehat dari sekarang” campaign. 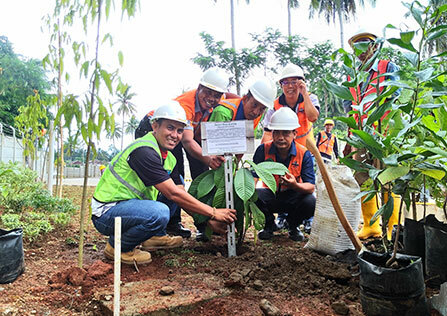 AQUA Group continued to promote healthy living behaviors which constituted part of the WASH program, one of which was conducted through waste management campaign called “GEMAS” (Gemar Mengelola Sampah/The Fun of Managing Waste). 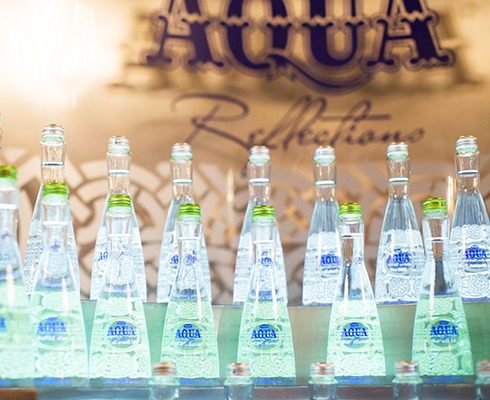 A decorative design created by Sebastian Gunawan for AQUA Reflections bottles was produced in a unique, modern and elegant style without losing track of Indonesia’s distinct characteristics. AQUA Group began the “Semua berawal dari kita” campaign, aimed at reducing the volume of plastic packaging waste from AQUA products. 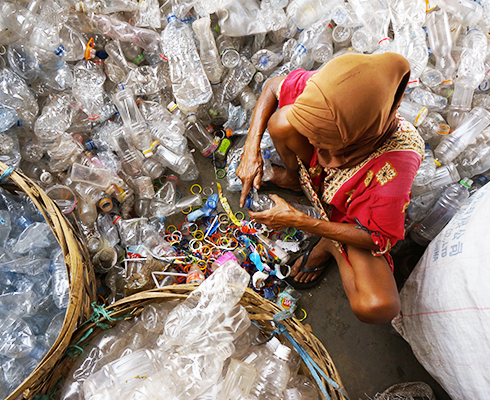 The campaign invited people to squeeze AQUA plastic bottles before disposing them into the trash bin. 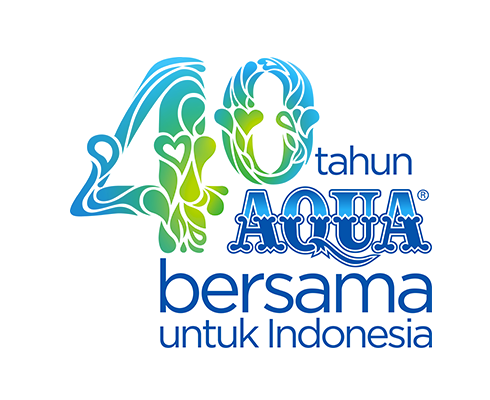 AQUA Solok Plant began operating and AQUA Group reached its forty years of operation and launched a new logo. 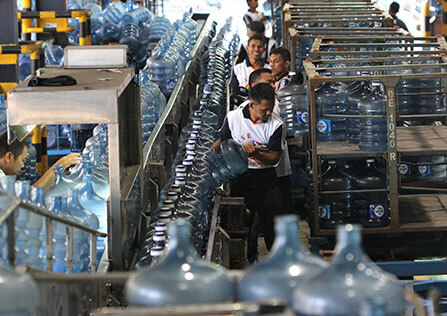 AQUA Langkat Plant began operating AQUA Group came as the first Bottled Drinking Water company in Indonesia to receive PROPER Hijau award given to AQUA Mekarsari, Pandaan, Airmadidi, and Mambal plants. 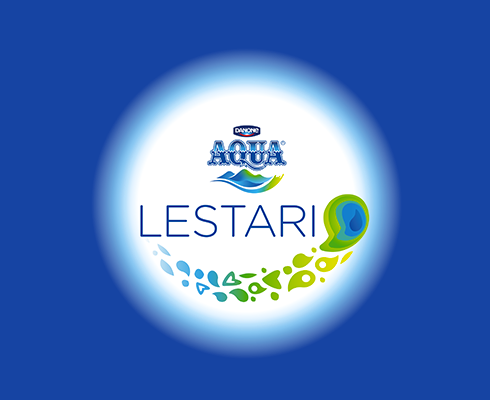 AQUA Lestari’s new logo was launched. The "Water Like Water" marketing campaign was launched, and this year also AQUA Group received 13 community empowerment awards from the Corporate Forum for Community Development (CFCD). The Tanggamus AQUA factory officially operates and Program 1 for 10 is re-launched. In addition, AQUA & Water.org initiated microfinancing models to accelerate access to clean water as well as this year, as many as 10 AQUA factories located in Mekarsari, Pandaan, Airmadidi, Mambal, Babakanpari, TIV Citeureup, AGM Citeureup, Klaten, Wonosobo and Lampung get Green PROPER. 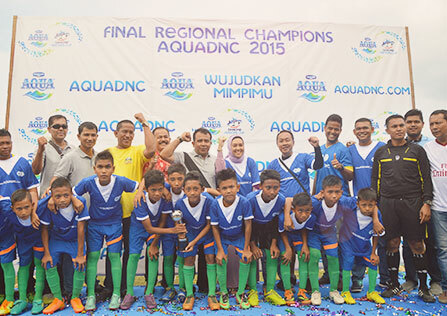 Danone-AQUA managed to get one Golden PROPER award for AQUA Mambal Factory and eight green PROPER for AQUA Mekarsari Factory, AQUA Babakan Pari Factory, CitQueup Factory AQUA (TIV), Citereup AQUA Factory (AGM), AQUA Wonosobo Factory, AQUA Pandaan Factory AQUA Airmadidi and Klaten AQUA Plant. 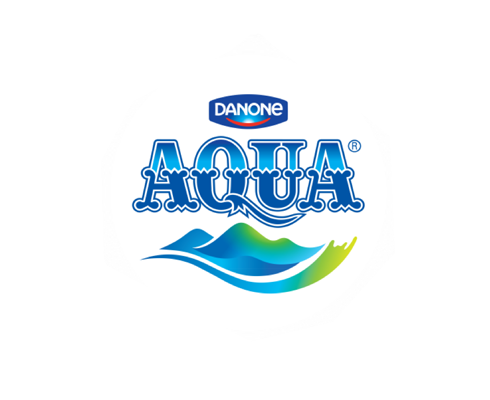 Danone-AQUA is considered a success because of its commitment and achievements in applying environmentally-friendly production processes, and conducting ethical and responsible business to the community consistently.